Sockeye Homes can help turn your vision into reality. Purchasing property? 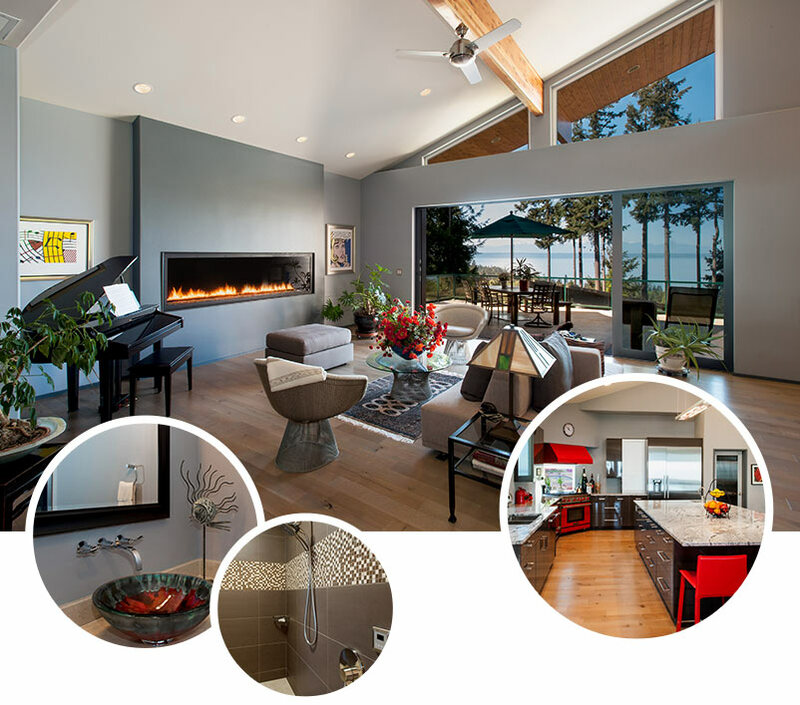 Sockeye Homes can perform the site-specific feasibility for you. Feasibility (Optional): Prior to Purchasing the Property (or Starting the Design Phase) When purchasing vacant land, acreage and/or tear-downs, the real estate transaction may only allow 30 to 60 days for you to perform feasibility before you end up owning it. What about the critical area, wetland, soil stability, percolation, drainage, utilities, etc., etc., etc.? When you want the expert assessment from the site development and building perspective, Sockeye Homes can perform the site-specific feasibility for you. The steps for building your custom home. Step 1: Meeting at the Property During this meeting, Sockeye Homes will identify the site specific conditions you need to consider in designing/building your custom home. Whether you have vacant land or an existing structure that needs to be torn down, what you need is a streamlined process to get the site ready for building. During this meeting we can also discuss your vision for your custom home and review any ideas/concepts (or plans if you already developed them) you have. b) Design-Build Project (you want Sockeye Homes to design, engineer, permit and build): First we go over our Custom Home Budget Worksheet to identify the All-In Budget, which needs to include everything like your site specific items such as topographical issues, septic/sewer issues, water/well issues, wetland issues, undermining/surcharging issues, soil/steep hill stability issues, etc. etc. etc. not to mention that we must include the Sales Tax! (that can add another 10.1% to the overall if your property is within the Seattle City Limits). Once the Worksheet is complete, you will have a clear idea of how big the house can be and what features you can have within the established All-In Budget “before” we start drawing the plans. Often, the starting point of PCD (Pre-Contract Design/Development) is Survey, Septic, City- or County-specific environmental or critical area issues, Geo-Tech Engineering, Civil & Drainage Reviews… stuff that may not be fun or fancy but absolutely critical before getting you excited on the floor plans and elevations (sorry to be a party-pooper but you’ll find to appreciate that part of us… lol). Step 3: Contract and Securing a Start Date Mutual acceptance of the Construction Contract secures a start date on the Production Schedule. Step 4: Interior Finishes and Specifications If you don’t have a set of finish specifications, you can either completely customize them to your liking with our design team, or we can incorporate our Packages into the main finishes like the Kitchen and Bathrooms. Incorporating our Packages into your custom home removes the uncertainty (hence makes your lender super happy) since we can fix the cost on those finishes (you know exactly what you are getting for a set price on the finishes) which prevents cost over-runs during the construction. Step 5: Pre-Construction to Construction Sockeye Homes will hold your hand through the entire process from pre-construction to the actual construction phase. The assigned superintendent will host a Project Orientation to go over the set schedule and details. You’ll also be given access to our Cloud-based Project Management System where you can view, download, approve and communicate 24/7 from your computer or cell phone. Ready to get started on building the custom home of your dreams? Contact Sockeye Homes today!